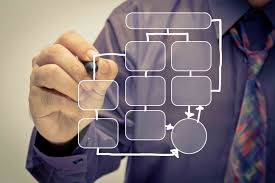 There are several reasons to consider using workflow tools in your organization. For example, they can simplify, standardize, automate, reduce errors and accelerate business processes. Many organizations have business processes that are cumbersome and rely on a mix of tacit knowledge, email and printed forms that are slow, error prone and unstructured. Some organizations had adopted InfoPath but in January 2014, Microsoft announced that their investment in InfoPath had come to an end. With no recommended migration path in the SharePoint ecosystem, this is where FlowForma shines, with its usability and rich feature set. While some organizations had thought that their processes were too complex to be brought online, FlowForma is proving them wrong. The solution has already been highly successful in automating some of the most complex and fundamental business processes within large organizations.